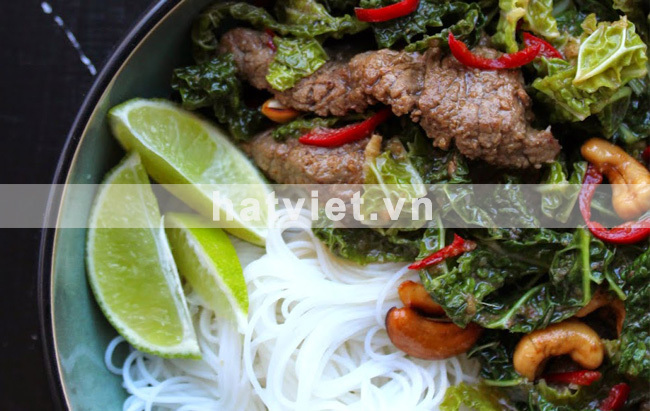 The majestic and beautifully deep green Savoy cabbage, cut into long strips, is added to the pan, along with some cashews and the juices of the marinade, and a few minutes later the dish is served with rice noodles and a good squeeze of lime. The zingy, bright, salty, sweet and spicy flavors blend to create a sumptuous and light dish with various and interesting textures. 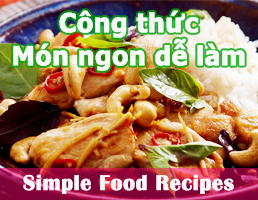 In a medium bowl, add all the ingredients for the marinade and mix well with a spoon. Add the beef strips and mix well to coat with the marinade. Cover with plastic wrap and refrigerate for 45 minutes and up to 4 hours. The longer you have time to marinate the beef the better the flavor will be. Heat your wok over medium heat. Without adding any oil, and once hot, add the cashews. Toast them, stirring frequently so they don’t burn, for about 2 minutes or until lightly browned. Remove them from the wok and onto a plate. Stack the leaves of the cabbage one on top of the other and roll them up. With a large knife cut them into strips and place them inside a colander. Place colander in your sink, boil 1 liter of water in a kettle (or as much water as your kettle holds) and pour it over all over the cabbage to wilt it. Leave to drain. Cook the noodles at this point, according to the packet instructions, and while they are cooking, heat the sunflower oil in the wok over high heat. Remove the beef from the marinade, shaking it so the marinade drips off back into the bowl, and place it on paper towels to dry a bit. Reserve the marinade. Add the beef to the hot wok and stir-fry it for about 2 minutes or until it has browned all over. Add the cabbage and the marinade juices to the wok and stir-fry for further 2-3 minutes. Add the cashews at the last minute. Squeeze some lime juice on top, give it a taste and add salt if you think it needs it. Take it off the heat. Plate the noodles and the beef with the cabbage in individual bowls. Squeeze more lime juice on top if you want and eat straight away!